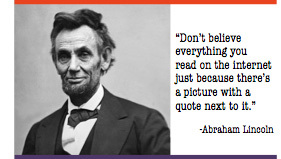 The challenge of fake news is well articulated in this quote from Abraham Lincoln. More and more, individuals get their news on societal issues via social media platforms and without the vetting process that previously characterised leading news outlets. This shift was made clear when a study by Buzzfeed found that fake news was posted more often than actual news on Facebook during the three months leading up to the US presidential election. But the internet isn’t the only development that has made fake news more prominent. Growing partisanship also fuels fake news because strong partisan leanings often bias our judgment. Those with strongly held beliefs (be they liberal or conservative) seek news that aligns with their positions, and are less likely to critically assess political claims that support their viewpoints. It’s a one-two punch. 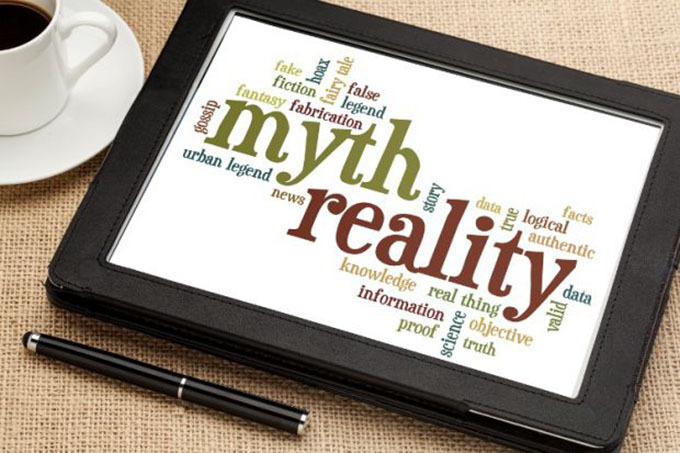 The internet enables the creation and circulation of misinformation, and strong partisanship leads individuals to seek out this content and to believe what they read. Given these dynamics, perhaps it’s not surprising that 81 per cent of those surveyed by the Pew Research Center just before the election said that not only did supporters of Hillary Clinton and Donald Trump disagree over desirable policies, but they also disagreed when it came to basic facts. The risks this poses for our democracy are enormous. How can those who disagree have a meaningful discussion if they can’t even agree on basic facts? And why would the losing side of any political battle view the process as legitimate, if they believe the winner’s case rests on outright falsehoods? Just as important, how can we expect the public to hold elected officials accountable or to cast an informed vote if they lack accurate information? Are schools doing enough to counter these dynamics? Not yet. A new study from the Stanford Education Research Group shows that many young people (like adults) can’t accurately identify trustworthy or credible websites and news reports. And in our nationally representative survey of youth, we asked if they felt that they and their friends would benefit from learning more about how to tell if online information was trustworthy. Eighty-four percent said yes. Fortunately, groups such as the The News Literacy Project have begun to create curriculum that responds to this need. And across the country, teachers are developing their own approaches. In Oakland, California, Lisa Rothbard created a curricular unit that helps high school students become critical consumers of “news” they find online and elsewhere. We are beginning to see evidence that these approaches work. Recently, we implemented an online experiment as part of a nationally representative survey of young people. That study, published in the American Educational Research Journal, was the first to demonstrate that civic media literacy education can improve how students distinguish between evidence-based and inaccurate online political claims. We exposed youth to the political content (both liberal and conservative) that commonly circulates on social media. Some of these posts were evidence-based, while others included wildly inaccurate claims. After viewing the posts, we asked the respondents if they thought the claims were accurate. Unfortunately, the most important influence on whether young people judged a post as “accurate” was if it aligned with their prior position on an issue. It made much less difference if the post’s claim was evidence-based or inaccurate. Young people with high levels of political knowledge were just as likely to exhibit this bias. But here’s the good news. Young people who received civic media literacy learning opportunities were 26 per cent more likely to judge an evidence-based post as “accurate” than they were to judge an inaccurate post as “accurate”, even when both posts aligned with their perspective on an issue. In contrast, youth with no civic media literacy learning were just as likely to judge inaccurate posts as accurate as they were posts that used factual evidence. The implications of such findings are clear: schools can help. Until recently, civic media literacy education has not been a reform priority. It must become one. Promoting civic media literacy aligns squarely with a core purpose of universal education – to prepare youth to make informed judgements on the issues that will shape their lives. Author Bios: Joseph Kahne is the Ted and Jo Dutton presidential professor of educational policy and politics at the University of California, Riverside. Benjamin Bowyer is a lecturer in the political science department at Santa Clara University.